1. When Does Full-time Registration for Returning Students Start? 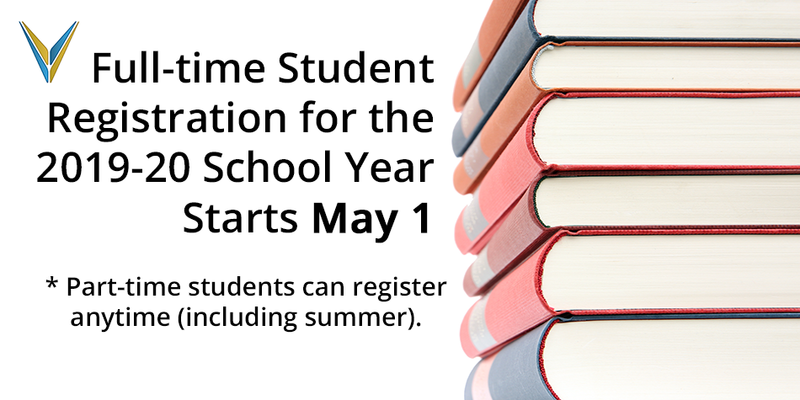 Full-time registration for returning students begins May 1. Please complete the registration form and your academic counsellor will contact you to discuss your courses and enrollment, or you may be contacted to set up an appointment time. 2. What if I am New to the School and Want (my Child) to Enrol Full-time and Take Courses Before the Next School Year? Full-time registration meetings for new students in Grades 1-10 occur after students have their final report card from the current school year. For students entering Grades 11 and 12, we can access your Detailed Academic Report (DAR). Students planning on becoming a full-time high school student in the next school year, can register as a part-time student for one or two core courses, and then enrol in the full-time program once these courses are completed, or they can arrange to meet with an academic counsellor to discuss the potential of enrolling as a full-time student for the remainder of this school year—this registration meeting may also apply for the 2019-20 school year. 3. What if I Want to Take Summer School or Continue as a Part-time Student? Part-time students can still register for available courses anytime, and have the option of taking courses provided by Vista Virtual School over the summer. There are multiple courses available year-round. Please note: courses offered through Vista Virtual School’s partner, Alberta Distance Learning Centre, have a June 30 deadline for completion, and currently only 1 and 3 credit courses are available for registration until May 1 for the 2018-19 school year (including CTS and other optional courses). Additional courses for the 2019-20 school year will be available for registration starting August 16. 4. What if I Have More Questions? Please contact your full-time school-aged academic counsellors Andrea Robin or Lise Pethybridge.